 Nappy with the sympathy, solicitude, and slightly off-kilter admiration that the fans of Elizabeth Bishop (1911-79) are known for, Millier (American Literature/Middlebury College) delivers a long, detailed life of the woman who wrote contemporary American poetry everyone seemed to respect without ever being able to say quite why. Nor does Millier say exactly why, or even much guess. 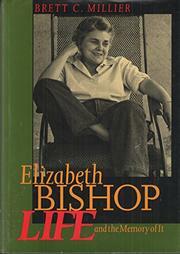 Bishop's tremendously hard life--her fatherlessness; her mother in and out of mental hospitals; her alcoholism; her bullied apprenticeship with Marianne Moore; her dependence on unstable female lovers; her uncomfortable years living in Brazil; and her general inability to much do for herself--here seems to set up a horrid scrim before which her artistic modesty comes off as a virtue. The poetry's unexceptionable dexterity and precision were accepted by the literary mainstream gratefully (in contrast to Robert Lowell's great loony dramatics, for instance), and Bishop was showered with respect. But respect seemed to nourish her not at all (does it ever? ): Her life was scarred by demons, secrecy (she was terrified of being exposed as both a drunk and a homosexual), physical illness, and spiritual vertigo. Bishop's balanced, impersonal poetry reads, in this light, as carefully placed bandages for cosmetic purposes only. Millier clearly doesn't want just to ``rip the mask off'' Bishop; she keeps references to the poetry always well in sight (while almost never dipping in to analyze or even to recommend); and her disaste for scandal and luridness is refreshing. But there's a muddiness here--Bishop is revealed but then covered up again without psychological or literary acuity--that can't quite convince us that Bishop's life or her art matters as much as these pages assume that it does.